Explore this magnificent ruined castle, the former home of the first Protestant Bishop of the Isles. 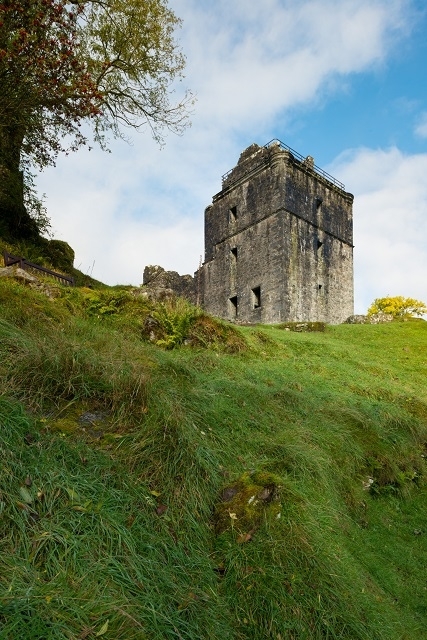 This 15th century tower house was built by the reforming churchman John Carswell, the publisher of the first book printed in Scottish Gaelic, a translation of the John Knox’s Book of the Common Order. 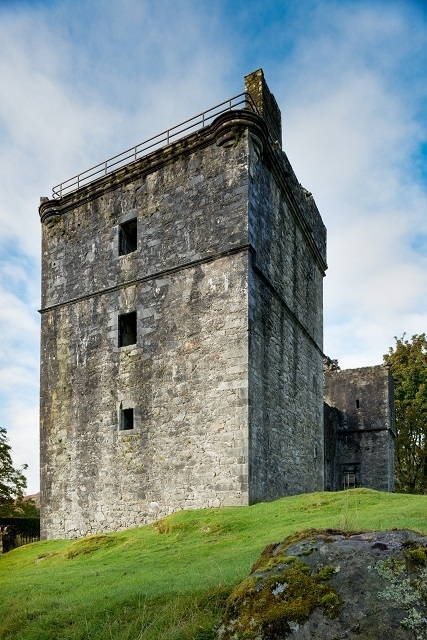 Having undergone only minor alterations during the late 17th century, Carnasserie Castle is a superbly preserved example of 16th century architecture. Positioned on a hill overlooking the serene Kilmartin Glen, it comprises a five-storey tower house with an impressive hall attached. It also boasts beautiful Renaissance masonry including molded string-courses, corbelled angle-turrets, ornate rainwater spoots, gunloops and an impressive armorial panel above the entrance. Blown up in 1685 by Royalist Forces during the Monmouth Rebellion, the castle fell into disuse before eventually being purchased by the Malcoms of Poltalloch in the 19th century. Today it is under the care of historic Scotland.